Members of the public are being invite to examine plans for the creation of a new link road between the A5 and the M1 in Bedfordshire. Taking place this Friday and Saturday (March 13th and 14th) at venues in Chalton and Dunstable, the exhibition will showcase the designs for a new £162.1 million project that will aim to reduce journey times for travellers in the area, as well as improve reliability and tackle a growing issue of congestion. Highways Agency senior project manager Paul Unwin said: "These public exhibitions will be a chance for residents, businesses and road-users to find out more about the benefits that the scheme will bring and what they can expect during construction. "We welcome the opportunity to speak to them directly and answer any questions they may have." 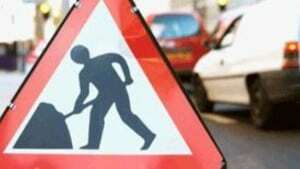 The project will be split into several phases, the first of which will get underway on Monday (March 16th) and will see groundworks begin for the construction of the new B579 Luton Road east and west carriageways, as well work on a number of temporary link roads in the area and the Sundon Road over bridge. Once finished, the new road is to be known as the A5-M1 Link Dunstable Northern Bypass. Completion of the project has been earmarked for spring 2017, with local businesses and residents being thanked for their patience during what will be a period of potential upheaval and delays for travellers in the area over the coming months.